A young man's life is turned around with the help of a genie inside a lamp. A young, beautiful girl awaits the day she will be killed after having asked for a most humble gift. A beautiful girl attends a royal ball where she meets the love of her life and must then fight for it. A little girl wants to go and see her grandmother, but a wolf decides to eat them both. Young boy Mowgli, who was raised in the jungle by animals, must decide whether he belongs to the jungle or the human world as well as confront the villainous tiger, who's threatening the wolf pack that adopted him. 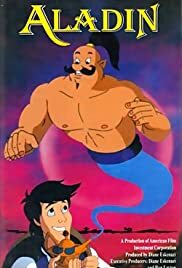 Aladdin: You know mother, I kind of wonder why the sultan's going through all this trouble to stop everyone from seeing what his daughter looks like. Aladdin's mother: Aladdin, don't even think about it. Aladdin: I know, I know. Death beneath the hoofs of stampeding camels, blah, blah, blah.